Unsustainable Policies and Practices with Deficits, Is America On A Burning Platform? The US government is on a “burning platform” of unsustainable policies and practices with fiscal deficits, chronic healthcare underfunding, immigration and overseas military commitments threatening a crisis if action is not taken soon. There are striking similarities between America’s current situation and the factors that brought down Rome, including declining moral values and political civility at home, an over-confident and over-extended military in foreign lands and fiscal irresponsibility by the central government. The fiscal imbalance meant the US was on a path toward an explosion of debt. With the looming retirement of baby boomers, spiraling healthcare costs, plummeting savings rates and increasing reliance on foreign lenders, we face unprecedented fiscal risks. Current US policy on education, energy, the environment, immigration and Iraq also was on an unsustainable path. Our very prosperity is placing greater demands on our physical infrastructure. Billions of dollars will be needed to modernize everything from highways and airports to water and sewage systems. Three years have passed since Mr. Walker sounded the alarm and issued his dire warning. The National Debt in August 2007 was $8.9 trillion. Today it stands at $13.6 trillion, a 53% increase in just over 3 years. It took 205 years as a country to accumulate $4.7 trillion of debt. We've added $4.7 trillion in the last 38 months. It doesn't appear that anyone in government heeded Mr. Walker's warnings. The perpetually optimistic pundits that occupy the positions of influence on CNBC and the other MSM networks try to paint a rosy picture of the American state of affairs day after day. They urge citizens to spend money they don't have. They are sure that extending unemployment benefits to 99 weeks will improve the unemployment situation. They declare that Cash for Clunkers and the Home Buyer Tax Credit were successful government programs. They are sure that invading countries in the Middle East will make America safer. Nobel Prize winners in economics declare that the government should undertake another $8 to $10 trillion of money printing because the first $5 trillion wasn’t enough. The Federal Reserve is pulling out all the stops in attempting to invigorate the American economy. The stock market is surging. Everything is surging. The optimists are crowing that all is well. Deficits don't matter. We can borrow our way to prosperity. Cutting taxes will not add $4 trillion to the National Debt if not paid for with spending cuts. All is well. So, the question remains. Was David Walker wrong? Are we actually on a perfectly sturdy solid platform? 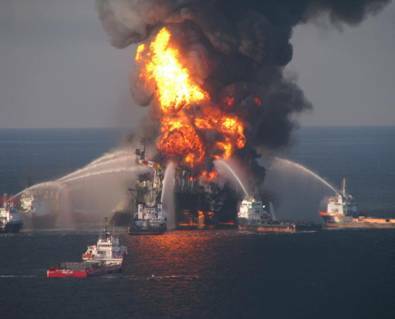 Or, are we on the Deepwater Horizon as it burns and crumbles into the sea? Let's examine both storylines and decide which is true. The National Debt of $13.6 trillion is manageable because interest rates remain at historic low levels. The addition of $1.6 trillion in debt per year is necessary because government must step in for the lack of spending in the private sector. This will jump start the economy. This is Keynesianism 101. The debt to GDP ratio of 93% is not dangerous. Japan has a debt to GDP ratio of 200% and they are doing fine. This proves we have plenty of room to grow our debt. The US dollar is the reserve currency for the entire world. We can systematically devalue the USD, which will reduce our foreign debt burden over time. The foreigners who leant us the money are on the hook and they have no way out. A depreciating dollar will help our manufacturing industry by making American exports cheaper in foreign markets. The $700 billion TARP plan saved the American financial system. The American taxpayer will end up making a profit in the long run from this program. Cash for Clunkers was an astounding success. It increased demand for autos dramatically. The Homebuyer Tax Credits resulted in a surge in home sales and stabilization of home prices. The $800 billion Stimulus plan saved America from a 2nd Great Depression. Without it, we would have lost millions of jobs. Consumer spending accounting for 70% of GDP is sustainable and desirable. If we can just get credit flowing again and encourage consumers that it is safe to use their credit cards to spend, the economy will come roaring back. This is not the time to save. Nobel Prize winners in economics urge Americans to spend because of the Paradox of Thrift. It may be smart for one person to save more than they spend, but if everyone does it a consumer society will collapse. We can save later is the recommendation. A QE2 of $8 to $10 trillion would surely increase the animal spirits of the dejected American people. The stock market would soar to 20,000 and everyone would feel rich. Spending would surge. All would be well again. The Social Security Trust Fund is not broke. The money contributed by Americans over the decades is in a lockbox and the fund will be solvent for decades. A few tweaks and it will be solvent forever. Medicare has been one of the best government programs ever conceived. It has sustained our senior citizens and delivered high quality care to all at a reasonable cost. Baby Boomers are rational and realistic. The statistics that show they have not saved enough to sustain them in retirement is overblown. Social Security will suffice. If not, they'll just work a little longer. No worries. Obamacare will reduce healthcare costs, improve service, cover more people, and reduce the profits of insurance companies and drug companies. We have the best educational system in the entire world. People from all over the world want to get into our best Universities. No Child Left Behind has been a huge success. We are safer today than we were on September 11, 2001. We won the Iraq War and freed the Iraqis from the clutches of a madman. We are fighting them over there so we don't have to fight them over here. The terrorists are in disarray and retreat. The $1.1 trillion spent on the Middle East Wars, the trillions spent on the Dept. of Homeland Security, and the expansion of government ability to protect its citizens through enhanced surveillance techniques and enhanced interrogation techniques on suspected terrorists has been beneficial to the safety and security of the American people. A Defense budget of $900 billion per year is essential to our national security. We are surrounded by potential enemies. It is a net positive for the US to allow illegal immigrants to stay in the country. Who else would we get to work in the fields picking lettuce and cutting our suburban lawns? Gasoline is only $2.70 a gallon. We are awash in supplies of oil. Peak oil is a myth perpetuated by environmental nuts. We have centuries worth of oil in the Bakkan Shale. If we would just open up Alaska to drilling, our troubles would be gone. Drill, Baby, Drill. Our crumbling infrastructure is actually a fantastic opportunity. A 2nd Stimulus program to upgrade our infrastructure would create millions of high paying jobs. The National Debt is $13.6 trillion today. Interest expense for fiscal 2010 totaled $414 billion. Based upon the current spending path and assuming that the Bush tax cuts are extended, the National Debt will exceed $20 trillion by 2015. A reasonable expectation of 5% interest rates would result in annual interest expense of $1 trillion. The entire budgeted outlays of the US government are $3.5 trillion today. Deficits exceeding $1 trillion per year are baked into the cake for the next decade. Non-Defense discretionary spending totals only $700 billion. Defense spending totals $900 billion. The remaining $1.9 trillion is on automatic pilot for Social Security, Medicare, Medicaid, and other entitlement programs. Politicians declaring they will freeze discretionary spending are treating you like fools. It will solve nothing. Debt as a percentage of GDP will exceed 125% of GDP by 2015. Rogoff & Reinhart in their book This Time is Different point out the dangers once debt surpasses 90% of GDP: The relationship between government debt and real GDP growth is weak for debt/GDP ratios below 90% of GDP. Above the threshold of 90%, median growth rates fall by 1%, and average growth falls considerably more. The chances of bad things happening to a country increase dramatically after the 90% level is surpassed. Japan began their 20 years of tears with a debt to GDP ratio of 52% and a National Savings rate of 15%. The Japanese people bought 90% of the debt that the government issued. Today, the debt to GDP ratio is 200% and the National Savings rate is 2%. The US entered this crisis with a debt to GDP ratio of 80% and a National Savings rate of 1%. We depend on foreigners to buy more than 50% of our new debt. We do not control our own destiny. A depreciating US dollar is already creating inflation in many assets. Gold, silver, oil, and agricultural commodities are increasing in price faster than the stock market. The policy of the US government and Federal Reserve of devaluing the currency is being matched by similar efforts in countries across the globe. The result is a flood of liquidity creating bubbles which will pop. The American middle class will be squeezed harder as their wages stagnate, while their food, energy, and costs at Wal-Mart go higher. TARP, the purchase of $1.5 trillion of Mortgage Backed Securities by the Federal Reserve, 0% interest rates, and accounting rule changes by the FASB have done nothing but paper over the fact that the biggest financial institutions in the US are insolvent. The assets on their books are worth 50% less than they are reporting. They are zombie banks. Their losses on residential real estate, commercial real estate and consumer credit continue to grow. The only beneficiaries of keeping zombie banks alive are the bankers who are receiving billions in compensation while the middle class dies a slow painful death. Cash For Clunkers, Home Buyer Tax Credit and energy efficiency credits did nothing but shift demand forward and cost the American taxpayer $25 billion. The estimated cost to the tax payer per incremental home sold was $100,000. Auto sales and home sales plunged as soon as the credits ran out. Home prices are falling and used car prices have soared due to less supply, hurting the poor. The borrowing of $800 billion from the Chinese to dole out to unions and political hacks all over the country has been a complete disaster. Unemployment has gone up by over 4 million since the stimulus was passed. Government spending has crowded out private spending. The economy hasn't recovered because it was never allowed to bottom. Why look for a job when the government pays you for two years to watch Oprah in a house where you haven't made a mortgage payment in 18 months? Consumers’ spending money they don't have, saving less than 5% of their disposable income, and putting away nothing for their retirement is unsustainable. The average credit card debt per household is about $15,700. In 1968, consumers’ total credit debt was $8 billion (in current dollars). Now the total exceeds $880 billion. Americans currently owe $917 billion on revolving credit lines and $80 billion of it is past due, according to the latest Federal Reserve statistics. A scaling back of consumer spending to a sustainable 64% of GDP would reduce consumer spending by $500 billion per year. This would allow Americans to save and invest in the country. This is considered crazy talk in the Keynesian economic circles. The anticipation of QE2 has already made the dollar drop 10% and gold, silver and oil jump 10%. Ben Bernanke and the Federal Reserve are conducting an experiment on the American people. What they are doing today has never been attempted in human history. It boils down to whether the authorities can cure a disease brought on by too much debt by doubling and tripling the dosage of debt. If this experiment fails, the dollar collapse and possible hyperinflation would lead to anarchy. Ben is confident it might work. Are you? Social Security and Medicare have an unfunded liability exceeding $100 trillion. There is no money in a lockbox. Congress opened the lockbox and spent the money. Baby boomers are turning 50 years old at a rate of 10,000 per day. There is no possibility that the promises made to Americans by politicians can be honored. No politician of either party will tell the truth to the American public. A massive reduction in benefits or a massive increase in taxes would be required to deliver on this promise. The 2,000 page Obamacare bill that no one in Congress read was sold to the American people as a cost saving, care enhancing package of goodies. The reality is that it will increase the national debt by hundreds of billions, ration care, drive more doctors into retirement, strangle small business with onerous regulations and enrich the insurance companies and drug companies. The unintended consequences will be devastating. Total military expenditures for the entire world are $1.9 trillion annually. The US accounts for $900 billion of this expenditure. This is 7 times as much as the next largest spender - China. The wars of choice in the Middle East since 2001 have cost unborn generations of Americans $1.1 trillion so far, with a final cost likely to reaching $3 trillion. Just like Donald Rumsfeld estimated. Over 5,700 Americans have lost their lives and another 39,000 have been wounded. The casualties in the countries that have been invaded number in the hundreds of thousands. Are we better off than we were on September 10, 2001? Defense spending in 2000 was $359 billion or 3.6% of GDP. Today it is $900 billion or 6.1% of GDP. Every dime of these expenditures is borrowed. Are we safer today? The Department of Energy was created in 1979 in order to create an energy policy that would reduce our dependence on foreign oil. The United States, which makes up 4% of the world’s population, consumes 25% of the world’s oil on a daily basis. In 1970 we imported 24% of our oil. Today we import 70% of our oil. Over 50% of our oil imports come from countries whose populations hate the US. 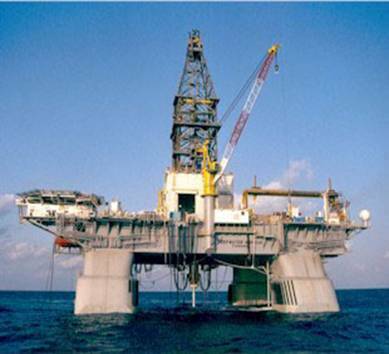 Mexico, which accounts for 9% of our current oil supply, will become a net importer by 2015. The US has not built a new nuclear power plant or oil refinery since 1980. The existing energy infrastructure is rusting away. 80% to 90% of the system must be rebuilt. The cost of rebuilding the infrastructure will be $50 - $100 trillion. We have no blueprints, few supplies and fewer trained engineers and construction workers. Peak oil is a fact. World liquid oil production peaked at 86 million barrels per day in 2006. It has not reached that level since, even when prices soared to $145 per barrel. Demand will move relentlessly upward as China and India and the rest of the developing world march forward. The US Military has concluded in a report put out a few months ago that by 2012, surplus oil production capacity could entirely disappear, and as early as 2015, the shortfall in output could reach nearly 10 MBD. A severe energy crunch is inevitable without a massive expansion of production and refining capacity. While it is difficult to predict precisely what economic, political, and strategic effects such a shortfall might produce, it surely would reduce the prospects for growth in both the developing and developed worlds. David Walker was in a ship well ahead of the US Titanic crossing the Atlantic. He saw the dangerous icebergs floating in the ocean. He sent a message to the Captains (Bush, Obama) and Executive Officers (Greenspan, Bernanke, Paulson, Geithner) of the US Titianic that there was danger ahead. They should have reduced speed and doubled the lookouts. Instead they listened to the Managing Director of the cruise line (Wall Street) and increased speed. The US Titanic was unsinkable. When the inevitable collision with the iceberg occurred, those in command chose to disbelieve the possibility that the mighty ship could sink. The nearest ship was four hours away. 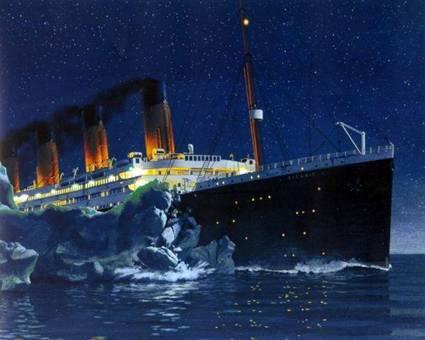 If the US Titanic had stopped immediately after striking the iceberg, it would have remained afloat until the rescue ship arrived. Instead, the masters of the ship chose to keep going as the compartments below the surface continued to fill with water. Reputation and hubris drove them to take these actions. Those in command knew that there was only room on the lifeboats for 1,100 people. There were 2,200 people onboard. It is interesting to note that 60% of the First Class (the ruling elite) passengers survived the sinking, while less than 25% of the Third Class (working middle class) and crew survived. David Walker has presented a case for inter-generational sacrifice. Are today's generations willing to keep robbing future generations of Americans by being fiscally irresponsible today? Every borrowed dollar spent today is a tax on future generations. Are we selfish enough to leave our children and grandchildren with an un-payable burden so that we can live well today? Don't the Wall Street bankers and Washington politicians have children and grandchildren? It is immoral and despicable that American leaders and its citizens aren't willing or able to make the tough choices needed to save the ship of state. Every great empire withered away due to the accumulation of bad decisions. Ask yourself whether this country has made the right choices in the last 30 years. Are we making the right choices today? If you are honest, the answer is NO. We've hit the iceberg. The ending is unavoidable. 16 Oct 10, 14:45 Markets without a country? With the risk to sound like a nonsense and let you know I don't know any about economy, I have to ask where is the good-sense in markets rally when all we can see in the macroeconomy is jobless, lack of trust, falling rates, foreclosures, commodity rally (not too good for trade balance)and hunger banks for a big, big 'new' QE. We already know QE is not going to prop the economy or to create jobs. So, what we are seeing here is the fall of a country and 'big-gains' in/for corporations. But, in fact, this markets are rallying in the State shoulders, and the State is in troubles to sustain this trend. Meanwhile, the poverty is rising, the macros are trembling, and the System is no longer a strong base. Fundamentals did not even exist anymore! Are we going to a new form of life when the State doesn´t exist but is the base of the capital markets? It's sounds like science-fiction to me. A corporate country?